OPEN is so grateful for its amazing community and their incredible support over the past few months! The team understands that a significant number of supporters were not able to participate in the sale (around $250 million worth) and has been working hard to provide the community with another opportunity as soon as possible. Along with its top partners including Danhua/DHVC, Draper Dragon, Sora, and NEO, OPEN is proud to announce a partnership with Kucoin along with a plan to be listed for trading today at 10 am! Kucoin is providing the OPEN community with a reputable and safe way to purchase OPEN tokens and further join its vision of mainstream cryptocurrency adoption. You can now buy and sell OPEN tokens with the supported pairs being OPEN/BTC & OPEN/ETH. Kucoin has been one of the most popular and effective ways to purchase tokens and has made the process easy for OPEN supporters. A guide and video have been published here and, as always, feel free to reach out on the OPEN Telegram group if you have further questions. 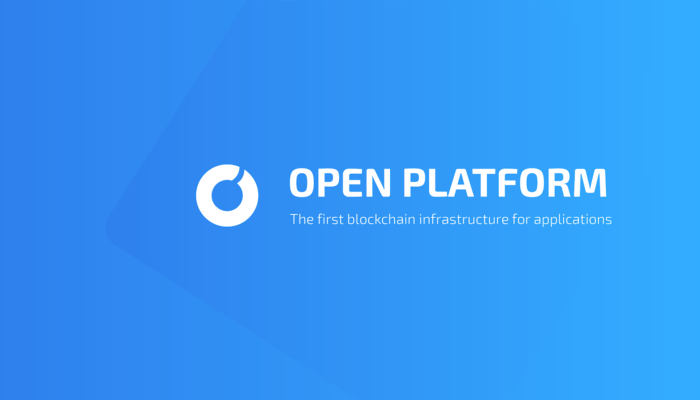 OPEN’s Scaffolding product has been live and fueled by strong partners and blockchains developing using OPEN. OPEN would now like to provide its community of developers and users an avenue to purchase tokens to use within the network. Now that there is something built and live at the time of the token sale, OPEN is shifting its focus to empowering the entire blockchain space by providing a way to interact with its interoperable Scaffolds. This targets a massive audience much larger than the few who participated in the private sale. With the Developer Growth program, centralized exchanges, like Kucoin, will be a key partner in bringing about the future of OPEN. As described in previous posts, OPEN hinted at some major announcements to come – this is the first of many! OPEN is extremely excited to have Kucoin as its first official listing partner. The team will continue to build a needed solution solving scalability, versatility, and adoption and welcomes supporters from all geographies to join OPEN’s mission. The OPEN team thanks all of its amazing partners and supporters who have helped achieve this important milestone. Please stay tuned for more exciting developments in the near future.